Imagine walking out of your house and being swept off your feet by a gust of wind so strong it then drags you along a snow-covered road. All you can do is grab the nearest lamp post of fence, hang on for dear life, and pray yuzhak shows you mercy. For the residents of the little town of Pevek in the very north of Chukotka, adventures like these are an everyday occurrence. The local wind, called yuzhak, is the strongest on the planet. Here, it blows all year round with gusts of up to 60-80 meters per second (mps). 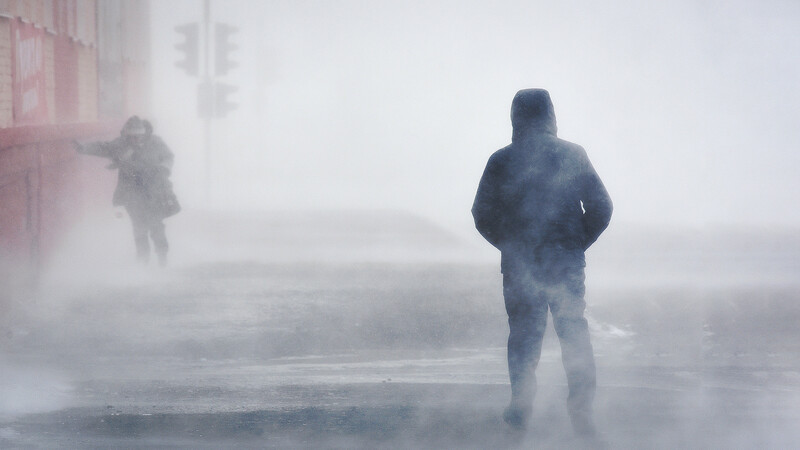 And if in summer it’s just a nuisance because it raises dust and sand from the roads, in winter, together with extremely low temperatures, it can be really dangerous. “If there were trees here, they would have been torn out of the ground," says Sergey Trunov from Moscow, who had a job in the transport sector in Pevek. “I first came here in February 2013. As the plane was landing, I saw the black knolls. And at night I heard the windows rattle. I went to the window and couldn’t see a thing. There was just this howling sound. That was my first encounter with yuzhak." Locals say that if there are motionless cauliflower clouds hanging over the knolls for several days, yuzhak is coming. It lasts for several days, and then disappears. This wind is very peculiar: it can blow for several kilometers, then suddenly disappear before rearing its head again. “You can go out into the courtyard and there may be no wind, but once you reach an open space, you can be caught up in a gust it feels like your whole body is being squeezed in a vice,” says Sergey. 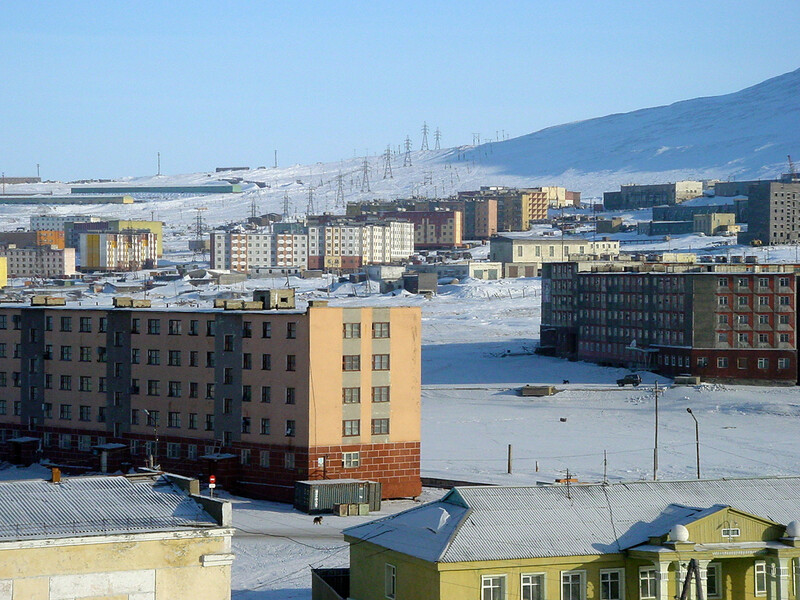 Pevek is officially Russia's northernmost town. The climate here is harsh: winter, when temperatures plunge to 40 °C below zero, lasts from October to May. The wind is unique to Pevek and owes its origin to the local landscape. The town is located on the coast at the foot of a long knoll, which separates the town from the boundless tundra. The wind gathers strength in the tundra and crosses over the knoll. It blows the snow off the top of the knoll, which rolls down the slope like frothy sea waves. When the wind reaches 20 mps, classes in schools are cancelled, at 30-35 mps some organizations shut down too. But life in the town doesn’t grind to a halt as many people continue to go to work and meet with friends. Sudden gusts oofwindcan be very dangerous, which can last from five to 15 minutes. That is, you can walk out of the house, look around, be happy in the knowledge that there’s no wind, reach the corner of the house and without warning be hit by a gust of wind. When that happens, it’s very difficult to remain upright. People hit by these sudden gusts sometimes end up crawling on all fours and seeking refuge under the houses. 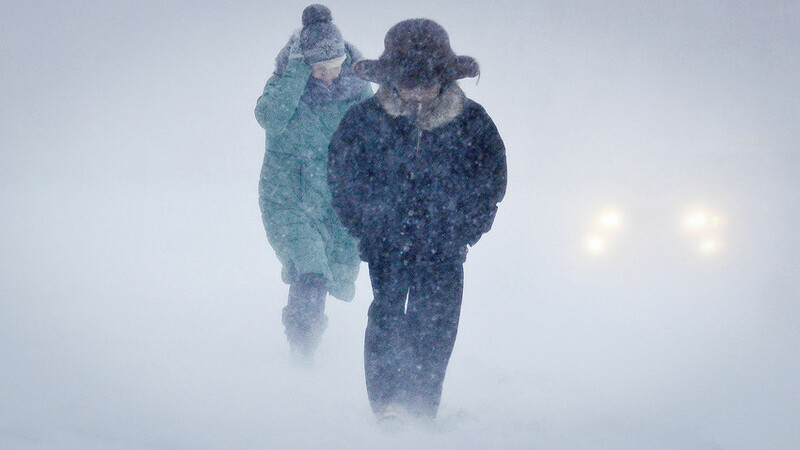 Before going out, some people put on ski masks to protect their eyes from sand and gravel raised by the wind. At the beginning of the school year, children are trained on how to behave in the event of yuzhak. 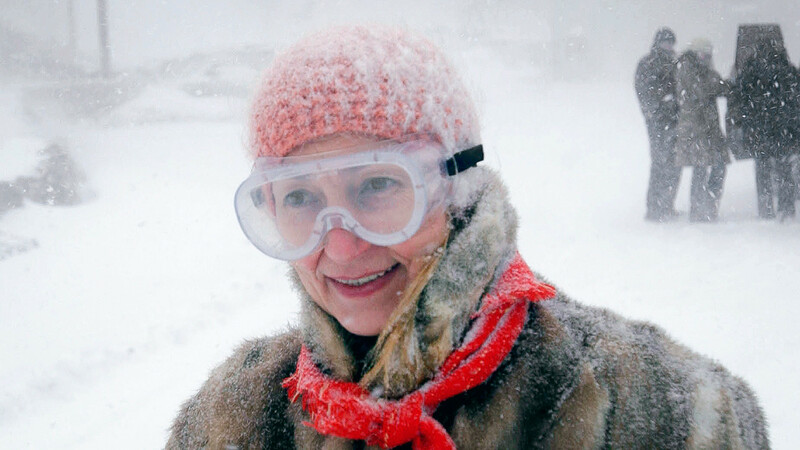 “At home too, we tell them what can happen, and they can see what’s happening on the street,” says Yevgenia. Locals say that Pevek is a town of daisies and romantics. In the summer, a million white-and-yellow flowers bloom here, and you will never confuse this town with any other. 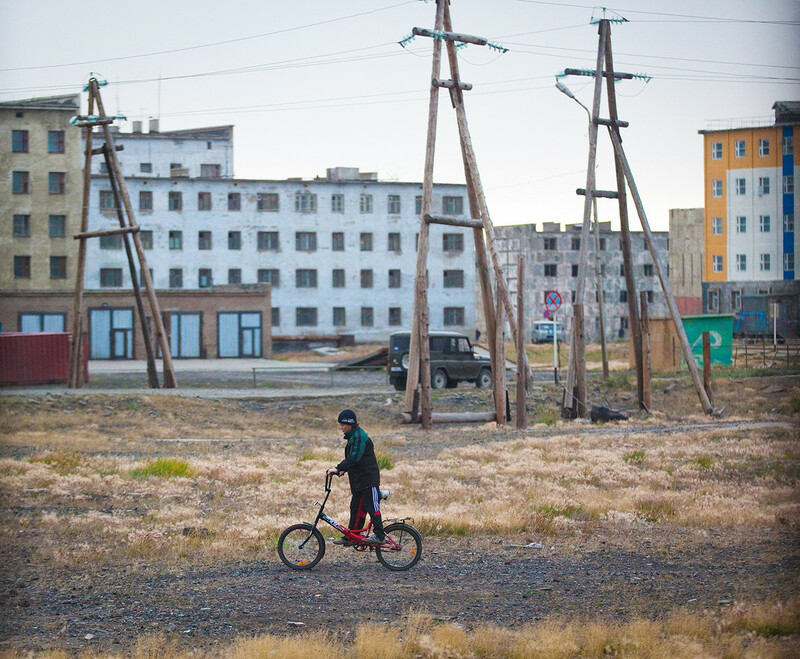 Like other cities in the Far North, there are problems with transport links to mainland Russia, food and drink is expensive, and the internet slow. But there are also incredible views of the knolls and amazing northern lights, which cannot be traded for anything.